AMC NETWORKS ANNOUNCES 2019 PREMIERE DATES FOR NEW AND RETURNING ORIGINAL SERIES! PASADENA, CA – AMC Networks has announced the premiere dates for several new and returning original series, including the final seasons of AMC’s Into the Badlands and The Son, BBC America’s Top Gear and Luther, IFC’s Brockmire and SundanceTV’s Ministry of Evil, Unspeakable and The Name of the Rose. Stan Against Evil: Season Two Trailer: More Monsters. Deadlier Demons. Same Stan. Stan Against Evil – Sofia Pavone, John C. McGinley, Janet Varney – Photo courtesy of IFC. Out of nowhere last year, IFC came out with a series about a middle-aged, chauvinistic blowhard who found himself battling (much against his will) supernatural forces. Unlike that other well-known middle-aged, chauvinistic blowhard who found himself battling supernatural forces, Stan was definitely the bumbling sidekick to new sheriff Evie Barret. The season ended with Evie stuck in in the past, facing a charge of witchcraft, while poor, dumb Stan has to try to figure out how to find her and get her back – which is where the new trailer season two picks up. Stan Vs. Evil Defeats Cliffhanger! IFC has renewed horror-comedy half hour series Stan vs. Evil. The series features a pragmatic, misogynist, ex-sheriff who finds himself facing a forced retirement that is filled with supernatural challenges – aided by the woman who now has his old job. Stan vs. Evil stars Janet Varney (You’re the Worst) as Sheriff Evie Barrett and John C. McGinley (Scrubs) as former sheriff Stan Miller. The first season ended with a major cliffhanger – Sheriff Barrett stuck in the past – about to be burned at the stake as a witch (while in the present, Stan is comfy in his recliner about to crack open a brewski…) – so this is welcome news indeed. ’70s-Style Psycho Trailer: Queen of Earth! 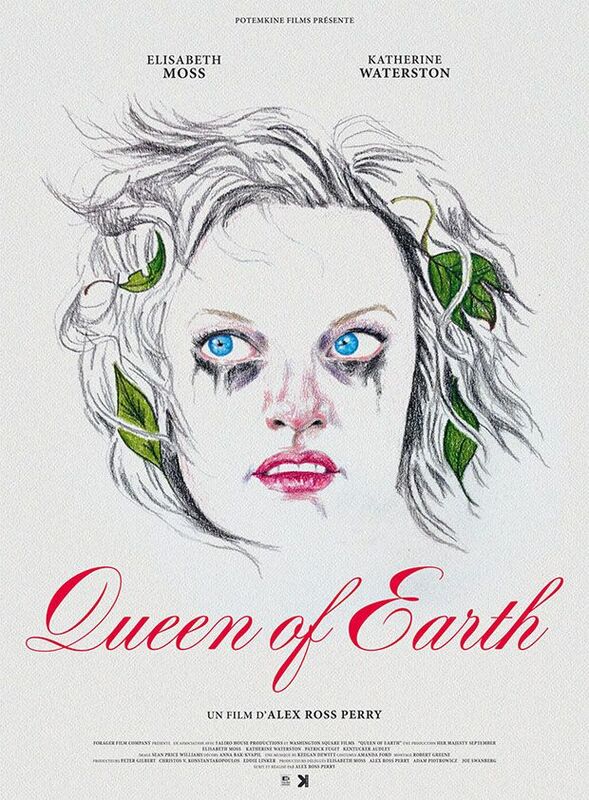 Katherine Waterston and Elizabeth Moss star in Alex Ross Perry’s Queen of Earth – a disturbingly funny psychological thriller about a young artist whose attempts to get it together are thwarted at every turn. Check out the trailer after the jump. Queen of Earth premieres on August 26th. 30th Film Independent Spirit Awards Land Two Hosts! Fred Armisen (Portlandia) and Kristen Bell (House of Lies) have been announced as hosts for the 2015 Film Independent Spirit Awards. The 30th Film Independent Spirit Awards will be air on IFC on Saturday, February 21 (4/3C). For a list of nominations, follow the jump. 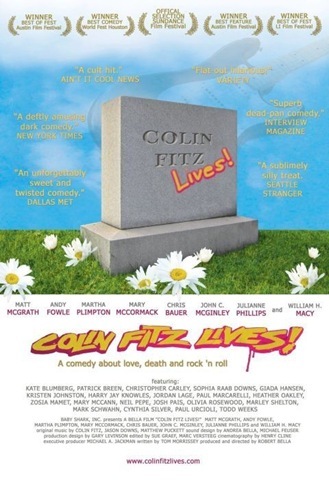 VOD: Colin Fitz Lives! Life, Death & Rock & Roll & Celebrity Obsessions! Colin Fitz Lives! is a true indie film – its original incarnation went from conception to locked film in just under six months – and cost less than a decent house. The story of the events of one night in the lives of two polar opposite security guards as they watch over the gravesite of a rock legend [the eponymous Colin Fitz] is, in effect, a mash-up of Spinal Tap and Clerks – Paul [Matt McGrath] and Grady’s [Andy Fowles] vigil is intercut with interviews with various fans of the rock & roller.